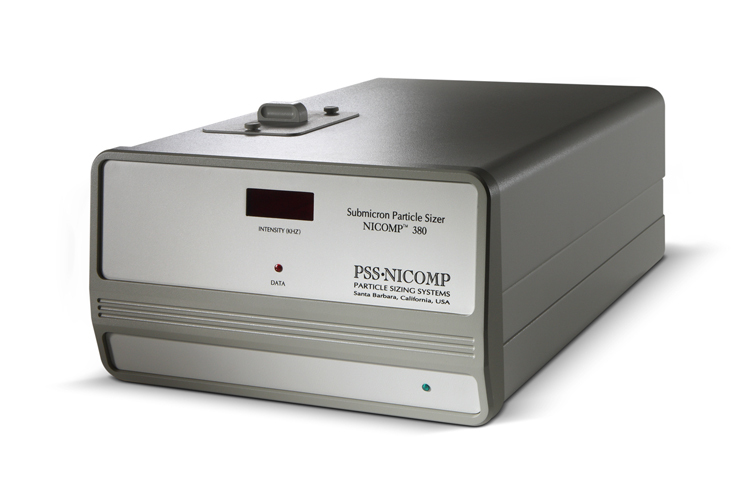 The Nicomp model is designed to measure colloidal solutions and nano sized particles including proteins and molecules. 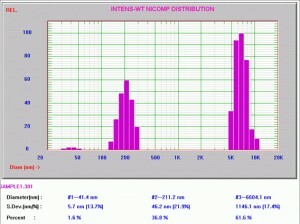 The accurate modeling of the data using either Gaussian or proprietary Nicomp fits, gives the Nicomp 380 the unique ability to separate close bimodal distributions. The inclusion of a goniometer detector provides an upgrade from standard dual angle detection to allow full angle detector placement. This is very useful for accuracy in the upper range where shallow angle detection yields the better results. This also allows finer tuning on backscatter measurement. 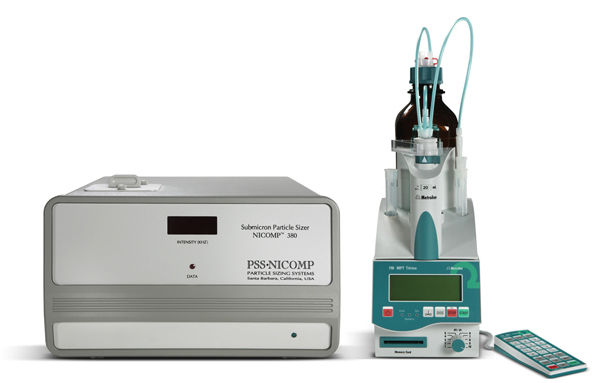 The goniometer also facilitates the determination of molecular weight of samples. The data fit will allow assymetric peak measurement, which is applicable to emulsion instability. 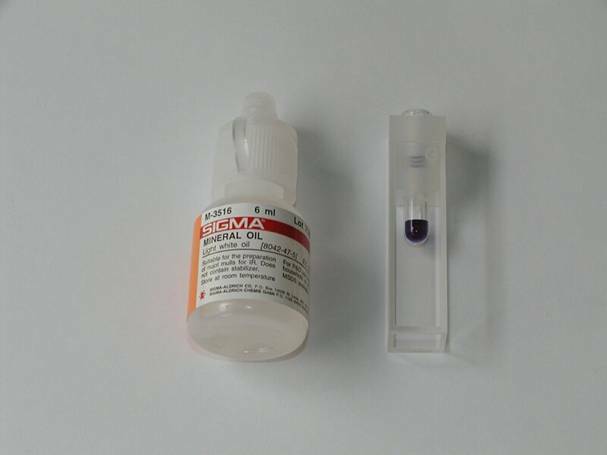 Autodilution is an optional feature that can speed up sample throughout. Proprietary high resolution multi-modal algorithm to discriminate close bimodals and native populations. Micro goniometer to allow optimum detector measuring angle and back scatter considerations. Automatic neutral density filter optimisation. Particles from 0.5 nanometres to 6,000 nanometres. 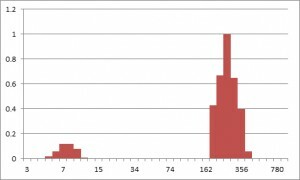 Protein sizing and molecule sizing.